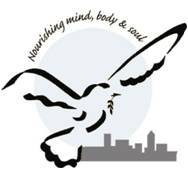 Recently we learned the Lehigh Valley Regional Homeless Advisory Board (LVRHAB) is conducting a Department of Housing and Urban Development (HUD) homeless point-in-time survey the evening of 24 January extending through 25 January. LVMAC Tidbit — Permanent Employment for the Chronically Unemployed? 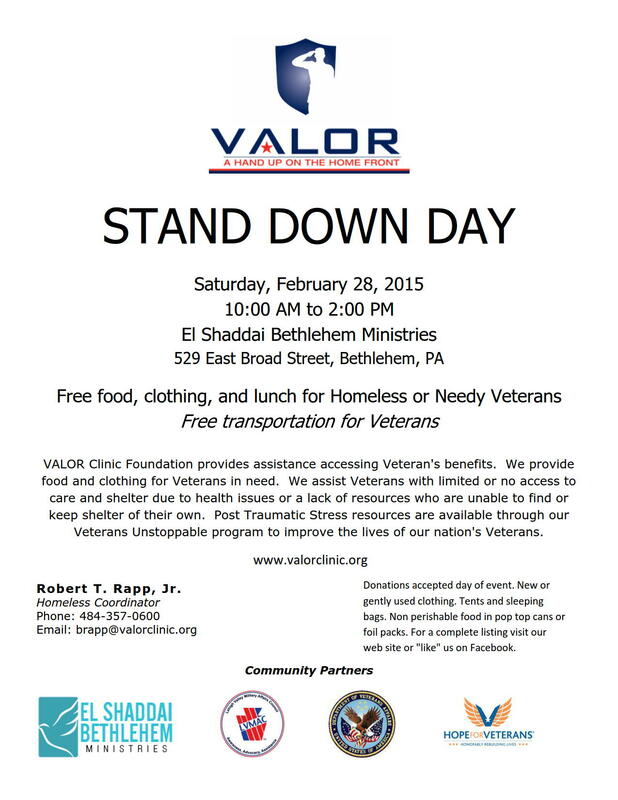 The first Lehigh Valley indoor Stand Down will be conducted by VALOR Clinic Foundation on 28 February between 10 a.m. and 2 p.m. at the El Shaddai Bethlehem Ministries, 529 East Broad Street, Bethlehem, PA.
LVMAC Tidbit — Old Man Winter says to LVCIL: Reschedule that Stand Down! As reported last week (14 January) Mini-Stand Downs are becoming increasingly popular in the Lehigh Valley as a means of finding and assisting the homeless. 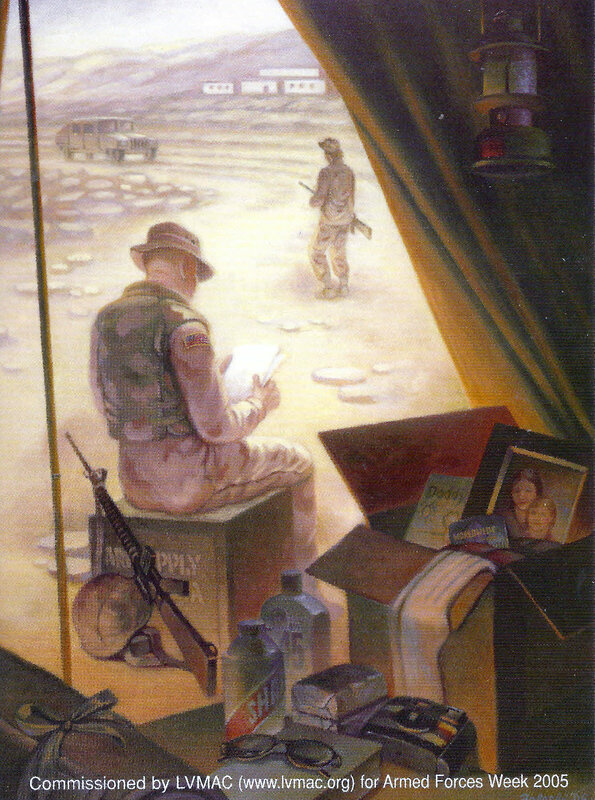 Various social work agencies, contracting with and responsible to the Department of Veterans Affairs in assisting in eliminating veterans homelessness, are beginning to work together in a more integrated fashion. It’s about time. That does not mean the weather has to cooperate, however. 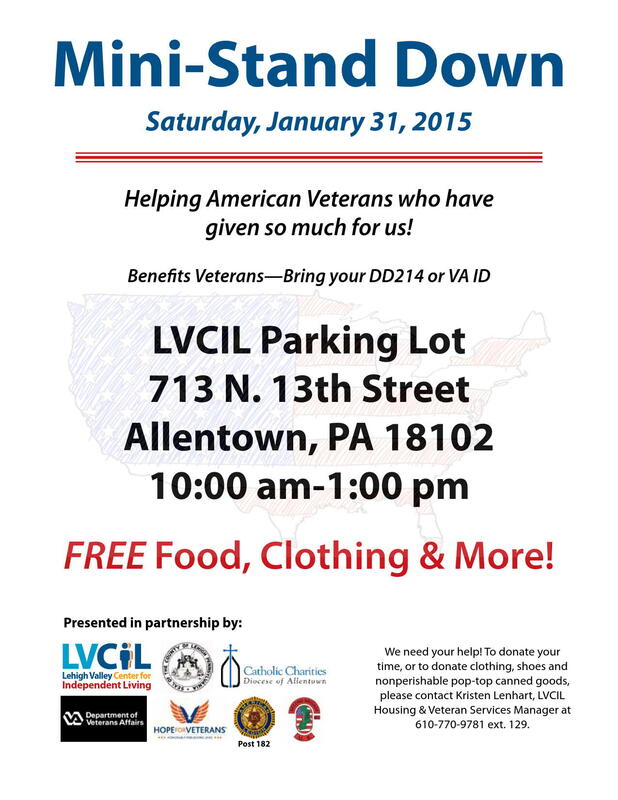 Today, in light of today’s Nor’easter snowfall prediction, factoring in a seasonal wus adjustment but multiplied by common sense, LVCIL has decided to postpone its first Stand Down, which will be held in Allentown, from tomorrow to 31 January. No changes otherwise. See Flyer. Mini-Stand Downs are becoming increasingly popular in the Lehigh Valley as a means of finding and assisting the homeless. Various social work agencies, contracting with and responsible to the Department of Veterans Affairs in assisting in eliminating veterans homelessness, are beginning to work together in a more integrated fashion. It’s about time.